Ulu Muda is a water catchment forest in Kedah that provides 96% of Kedah’s water, 80% of Penang’s water and 40% of Perlis’s water supply. Petaling Jaya: WWF-Malaysia refers to the article “Kedah revokes and halts issuing new permits for felling trees” (The Star, 5 September 2018), which highlights Kedah’s move to revoke logging permits and suspend issuance of new ones within the Ulu Muda Forest Reserve (Ulu Muda FR). 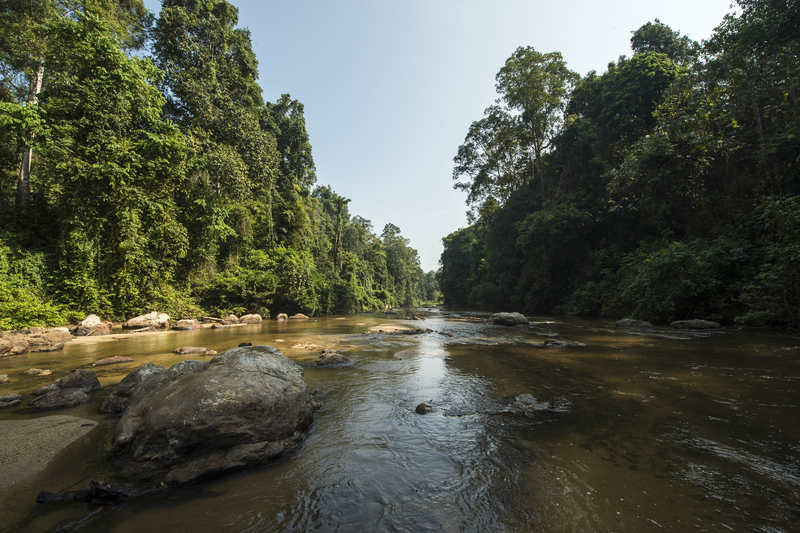 WWF-Malaysia welcomes the State Government’s bold move, which is a significant step towards ensuring the protection of the larger Ulu Muda Forest Complex, a crucial water catchment forest for the northern states. The reported move by the state government signifies its commitment towards conservation, especially since such a decision could pose financial implications to the State. Therefore, we are encouraged by the Water, Land and Natural Resources Minister YB Dr Xavier Jayakumar’s statement that the Federal Government is studying how to compensate Kedah for conserving the Ulu Muda FR. The Ulu Muda FR is the biggest forest reserve within the larger Ulu Muda Forest Complex, which consists of six other forest reserves. Spanning 106,419 hectares, the Ulu Muda FR represents 65% of the entire forest complex. The importance of the Ulu Muda Forest Complex as a water catchment forest is undeniable as it supplies 96% of Kedah’s water, 80% of Penang’s water and 40% of Perlis’s water supply – fuelling the nation’s biggest granary area, the region’s economic growth, and its people’s livelihood and well-being. Apart from its water provisioning values, the Ulu Muda Forest Complex is also a biodiversity hotspot. It is home to at least 112 species of mammals including many large ones such as the Asian elephant, the Malayan tapir, the Malayan sun bear, the sambar deer and the clouded leopard. The Ulu Muda Forest Reserve in particular is one of the two known places in Peninsular Malaysia where spotted leopards are found. Furthermore, the rare plain-pouched hornbill is known to roost in this forest complex – one of the two sites in Malaysia where these birds are found in large numbers – and this draws a sizeable number of foreign tourists and avid local birdwatchers to Ulu Muda. It is heartening to note that environmental conservation has been gaining traction in Kedah. The new government stated that they recognise the importance of the Ulu Muda Forest Complex as a water catchment area and their action to revoke and suspend logging licenses in the Ulu Muda FR reiterates that they are serious about conserving the area. WWF-Malaysia hopes that this move can be eventually extended to the whole of the Ulu Muda Forest Complex and subsequently, gazetting it as a water catchment forest and a state park. When officiating the 14th state assembly last month, the Sultan of Kedah Sultan Tunku Sallehuddin Ibni Almarhum Sultan Badlishah himself stressed the need to reduce financial dependence on logging and instead explore other alternatives such as ecotourism and bioprospecting. In his speech, His Royal Highness also called on the Federal Government to reconsider the criteria used to allocate federal budget to the state, as allocating budget based on per capita, for example, is no longer suitable. WWF-Malaysia strongly supports the call by the Sultan of Kedah to review the criteria used for federal budget grants to states and to introduce fiscal reforms. It is indeed something that needs immediate attention. Reforms are needed to allow ecological fiscal transfers to states – a means of compensating the states for the costs of providing ecosystem services via forest conservation. Ecological fiscal transfers are being adopted in other countries such as Brazil and India. In India, the central government includes natural forest cover as a criteria when allocating tax revenue distribution to states in the annual budget. It is about time we too provide states such incentives to protect and restore our natural capital. As a first step, any policy, legal and operational barriers that restrict or prevent states from getting due compensation and incentives from the federal government for conservation purposes need to be identified and removed. An enabling policy and legal environment and fair financial mechanisms that can generate revenue for states based on conservation efforts has to be established. These includes but not limited to reforming tax regimes such as allowing states to obtain revenue from activities that hinge on conservation, for example ecotourism. Apart from this, mechanisms to allow private sector funding to be channelled towards natural forest conservation efforts also need to be explored further. Despite being located deep in the heartland of Kedah, the Ulu Muda Forest Complex provides ecological services that are far reaching beyond the state’s boundaries. Various parties benefit from the protection of these forests. While the Kedah state government plays a crucial role in safeguarding the Ulu Muda Forest Complex, other main beneficiaries who would gain from the protection of this important catchment forest, such as the Penang State Government and the Federal Government, must also play theirs. Therefore we urge all parties that benefit from the Ulu Muda Forest Complex to recognise the vital role these forests play, not just in contributing to water security and economic growth in the northern region, but also to food security of the nation. Parties that benefit not only need to acknowledge the costs, including opportunity costs, associated with the protection of the catchment forest that Kedah – the second poorest state in the country – has to bear, but also explore ways to contribute towards the conservation efforts of the state. The private sector too, especially businesses dependent on the Ulu Muda Forest Complex for water, need to start being proactive in the conservation of these forests. In a nutshell, the Ulu Muda Forest Complex in Kedah is the lifeline for millions of people – it provides the much needed water for businesses, people and our “rice bowl”. Rice and water are not luxuries but our basic needs. If we as a nation benefit so much from these forests, isn’t it time that we give something back to Kedah?